Apple isn’t big on options. 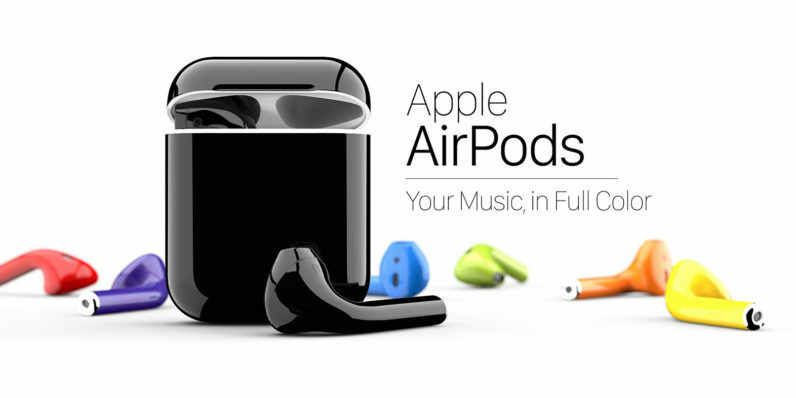 Its $159 headphone, the AirPod, is a prime example. It only comes in two colors: white, and the color white used to be after you’ve used it six months. Colorware, the company behind the retro-themed iPhone and MacBook, is back at it. For the ridiculously ridiculous price of $289, you can gloss over the standard white, and customize your AirPods using one of 58 colors. Or, drop an additional $30 for a matching case. At the low cost of just $319 — double the price of existing AirPods — these attractive earbuds (and new matching case) can be yours if you’re willing to fork over a car payment and wait six weeks. Seriously, these things look great. And whomever finds them on the ground after you lose them is sure to appreciate the effort. Get yours at ColorWare’s website… or don’t, we really don’t care.